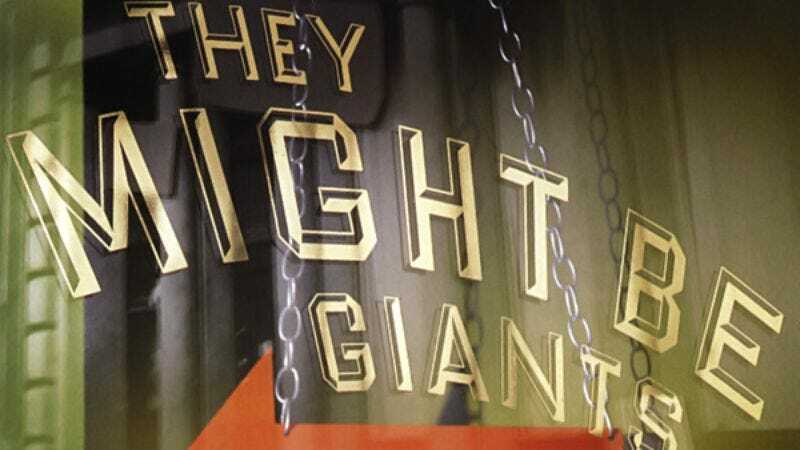 They Might Be Giants’ brief but memorable tenure as a major-label band effectively ended 20 years ago with the release of Factory Showroom on October 8, 1996. It was their fourth and final album for Elektra. The relationship between the band and the label had been souring for some time, and the 1996 LP got very little promotional push. But TMBG decided to end its major-label era with a flourish of experimentation. A press release from the time stated that the band was “encouraged by Elektra’s liberal A&R staff to take the album in our own direction.” Nowhere was that more clear than on the album’s penultimate track, “I Can Hear You,” featuring lead vocals by John Flansburgh. The song, a paean to technology and the way it simultaneously helps and hinders communication, was actually recorded on a wax cylinder, the earliest commercial recording medium, at the Thomas Edison National Historical Park in West Orange, New Jersey. The results are both funny and eerie. We performed this and other songs in front of a small audience, singing and playing acoustic instruments as loud as we could into a pair of enormous metal cones, the larger of which was perhaps twelve feet long, which fed the sound into a hundred year old non-electrical recording device created by Thomas Edison in the 1890s. The wax cylinder recorder carves a groove into a rotating tube of softened wax with a needle that is vibrating from the sound pressure collected at the small end of the cone. That is the best we can explain it. It looked very cool.